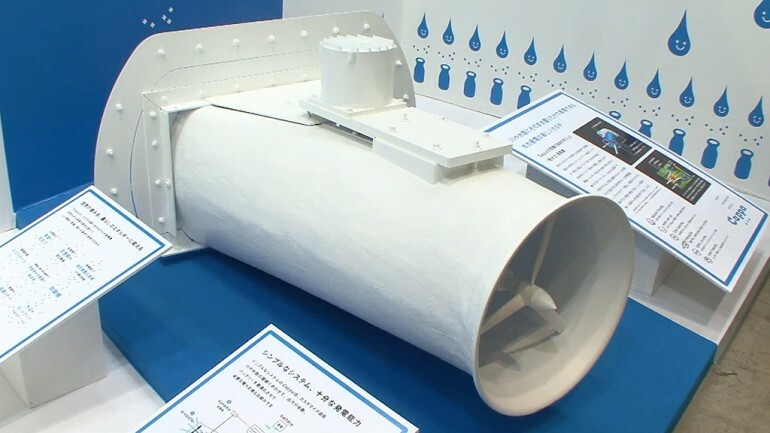 Japanese company Ibasei recently devised a tiny underwater turbine that can be placed along a riverbank or canal to generate electricity without harming the environment. Hydroelectricity, produced by harnessing the energy in moving water, is the most widely used form of renewable energy in the world. Still, it’s not always popular among those who care about protecting the planet. That’s because hydropower is almost always executed on a large scale, requiring massive river dams that disrupt the surrounding ecosystem. But there’s no rule that hydropower generators have to be huge. Ibasei’s Cappa compact hydropower generator can deliver 250 W of electricity yet is small enough to be transported between locations as needed. Unlike dams, which rely on their sheer size and the volume of water to generate large amounts of electricity, the Cappa uses smart design to make up for what it lacks in stature. A peek inside the Cappa reveals nothing surprising – blades rotate as the water flows through the unit, which drives a turbine to generate electricity. However, “the unit is encased in a special diffuser that is designed to increase the velocity of the water at the point where it passes over the blades, thereby increasing the unit’s electrical output” explains Gizmag. According an Ibasei spokesperson, the Cappa produces 100 V AC electricity at 50/60 Hz, so it can be used to power appliances around the home. Also, the unit is 100 percent recyclable and has an uptime of virtually 100 percent. The only downside is the price, which right now stands at about $12,000. what is official website of it?! 250 Watts might be enough if all you want to power is 3 or four lightbulbs, but most homes (even in Japan) use far more than that. Cappa mini hydropower generator being installed. Cappa mini hydropower generator graph.